Time has come to a standstill at this decades-old steak house. It opened in 1984 and is serving traditional Anglo-Hainanese cuisine. 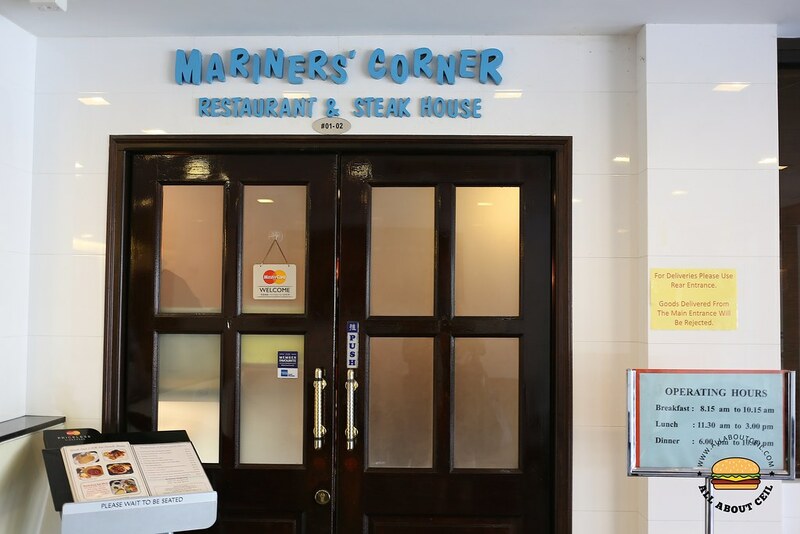 This is one of the remaining, the others are the Ship Restaurant and Shashlik Restaurant, in an ambience that reminiscent of the popular steakhouses from late 1970. There are posters of James Dean and Elvis Presley on their wall to bring you back to the yesteryear and a perfect trip down memory lane. If you are there, look out for their daily set lunches which are available on the weekdays and weekends. The prices are different, though, it is slightly more expensive on the weekends. The set lunches for the weekends include their signature Hainanese Oxtail Stew ($18.50) and Sirloin Steak with Black Pepper Sauce ($18.50) which I ordered. Each set includes Soup of the Day, Garlic Bread, Today's Dessert with Coffee or Tea and also free-flow from the Salad Bar. 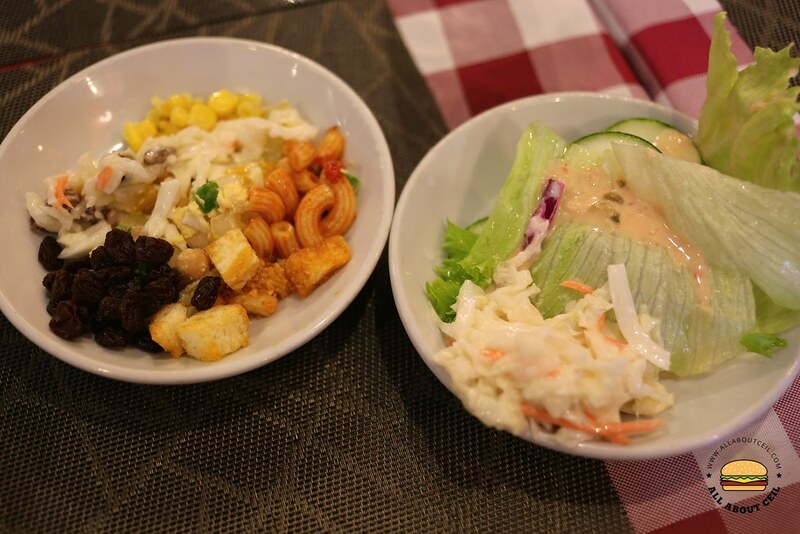 The choices though limited but it tasted fresh at the old-fashioned salad bar that resembled the one at Ponderosa. 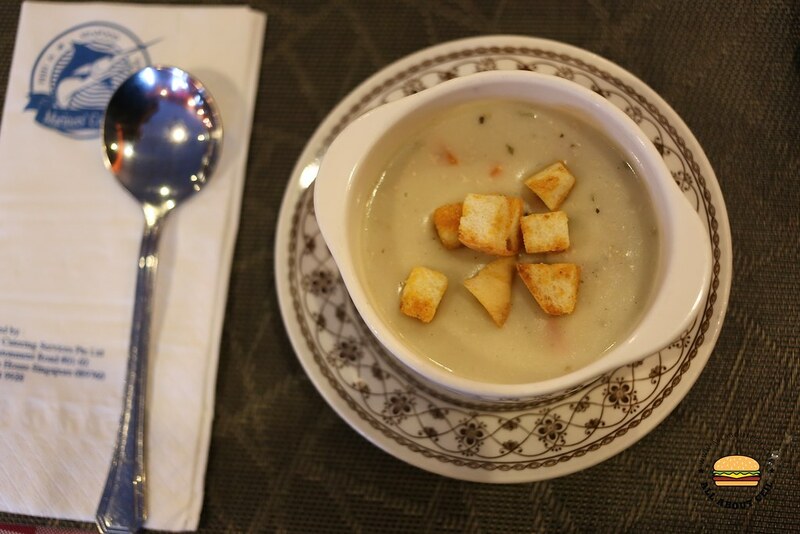 The Soup of the Day was Cream of Chicken Soup served along with a piece of garlic bread. The croutons were from the Salad Bar. 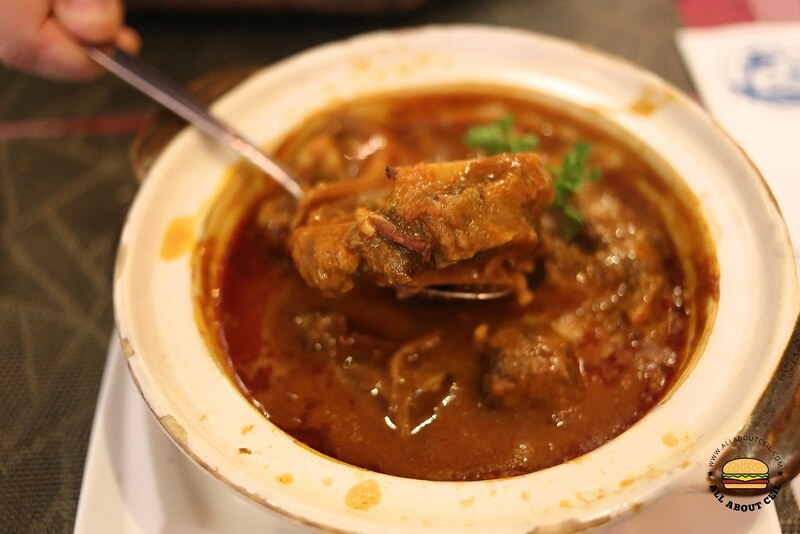 Their signature Hainanese Oxtail Stew was served in a claypot, which helped to keep its warm till the last bit. 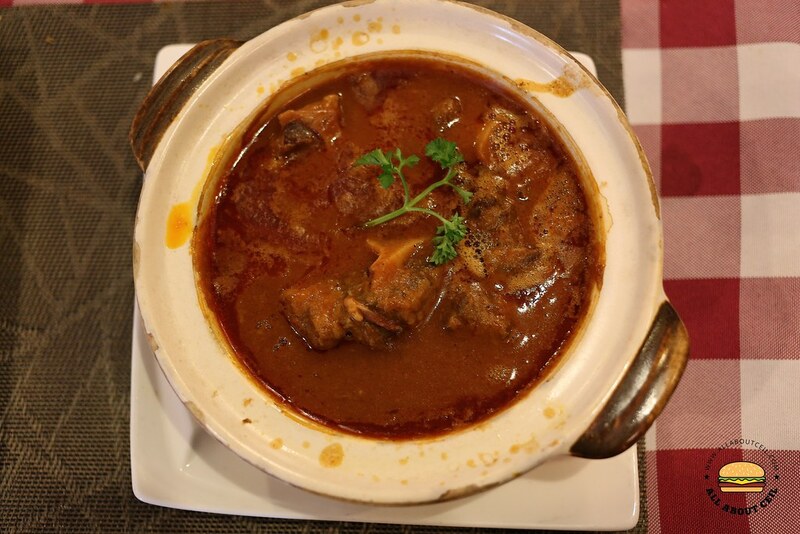 It came with quite a few chunks of tail meat in the braising sauce that was slowly cooked to the desired consistency. This rich, oozy oxtail stew is a classic comfy food, it is filling and also delicious. It is as good as the one that is served by Shashlik Restaurant and is better than Werner's Oven. 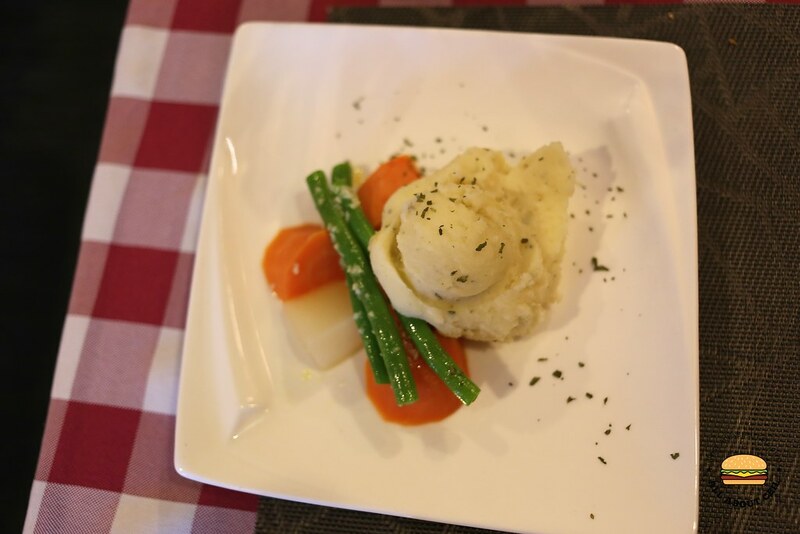 It was served with mashed potato and poached vegetables. The mashed potato did not have much of the buttery taste, it was a bit plain if eaten on its own and it did not go too well with the stew. I would rather that they serve it with garlic bread. 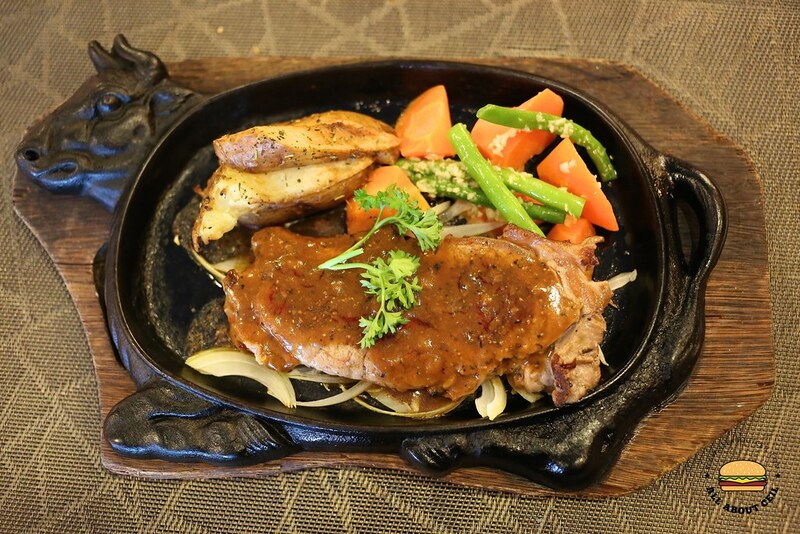 Sirloin Steak with Black Pepper Sauce was served on an old-school hotplate that you do not get to see it often these days. The nicely grilled Sirloin Steak was placed on a pile of shredded onion, served with potato wedges and poached long beans with carrots. There is an option to add a piece of baked potato for $1.50. 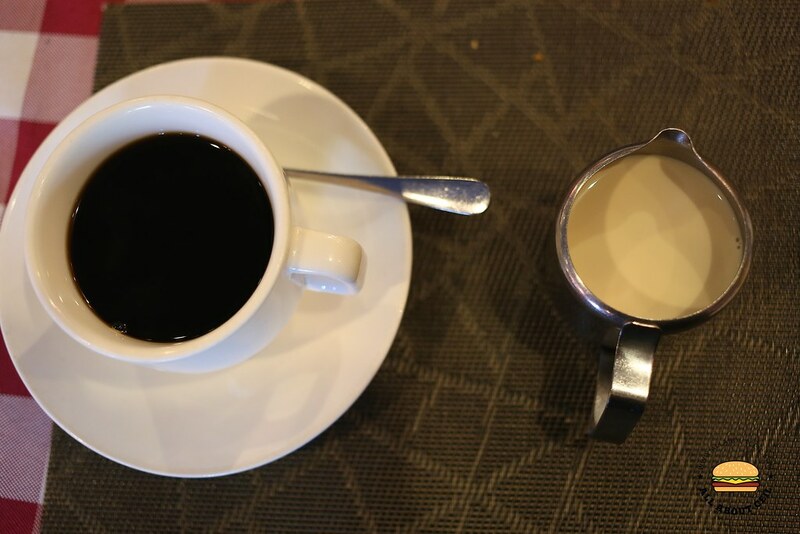 Coffee or Tea is included in the set and it was served along with a piece of butter cake. 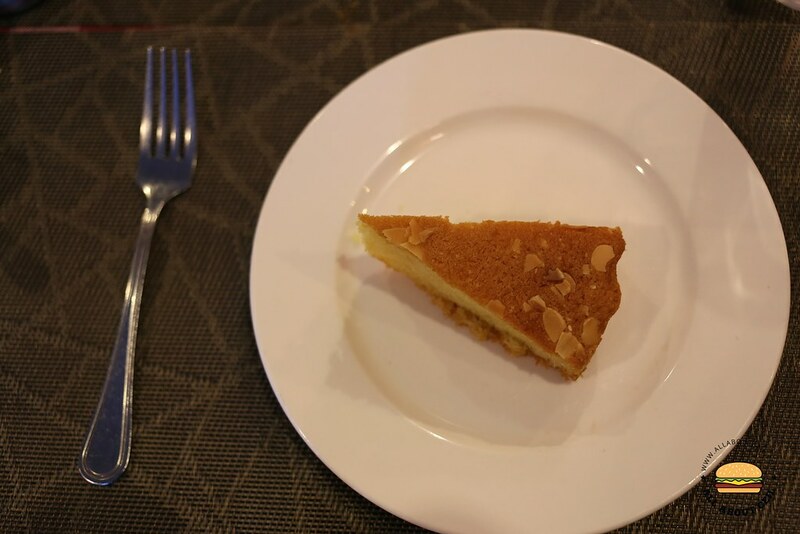 The butter cake has an old-school taste, like those that homemade by our mothers or even grandmothers, it was slightly dry but with a nice eggy taste. 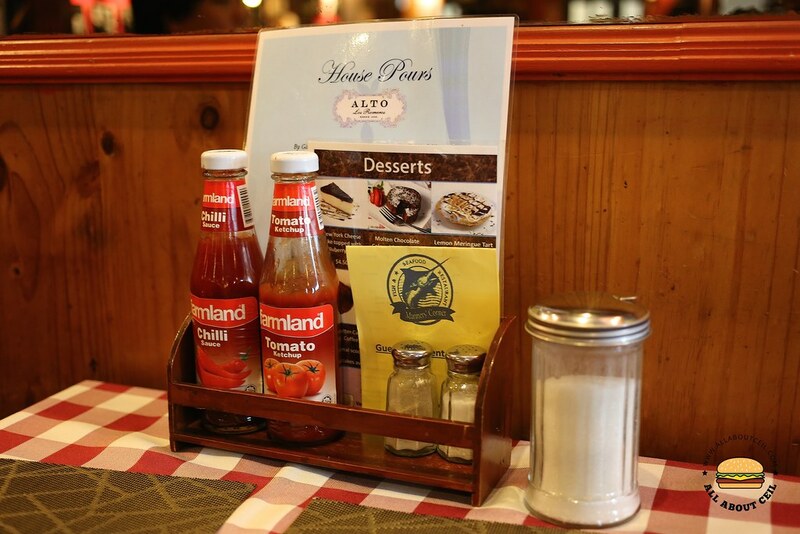 This is a place for a good lunch or dinner, it is hearty, warm and no-frill.